Glittering on a subtle hill, The Crown, is the first neighborhood you'll come to when driving south from the center of Breckenridge into the incorporated town of Blue River. on the west side of Highway 9. There is only one (unincorporated Summit County) subdivision between the town boundaries and the Crown, so its a quick 10 minutes by bike, and less that 5 by car to the Post Office, for example. 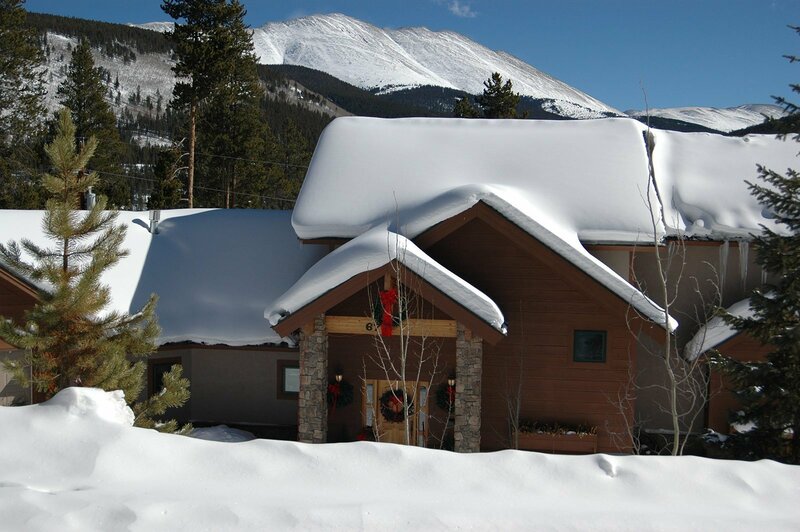 And as any local knows, any home for sale in the Crown, really, everything between Farmers Korner and the base of Hoosier Pass is thought of as Breckenridge. The Crown is a neighborhood for those who want to be pedaling distance to the center of town. The exact crown isn't apparent in the landscape like a 'Camel Rock' but many of the homesites benefit from sitting on this gently rounded hill on the west side of the Blue River, and get more than their share of sunshine in the spruce, fir and pine forests. Great views of Baldy Mountain and Mount Helen are common in many of the single-family homes in the Crown. It's a neighborhood that feels a little rural: well-graded but unpaved roads, lots that are usually at least 1/2 acres, privacy, but neighbors, too. 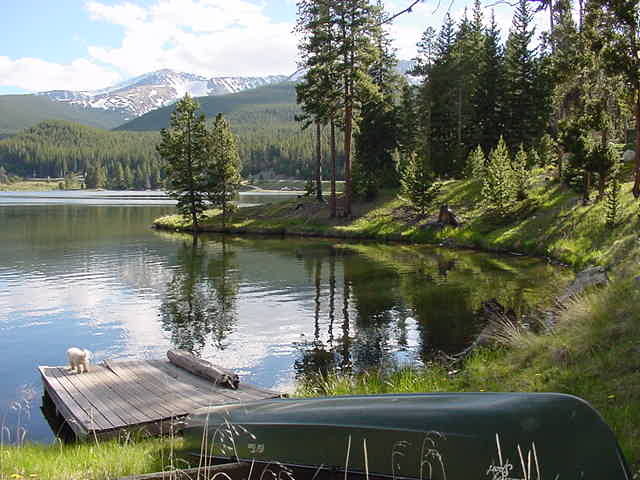 The Crown is the gateway to great trails to popular destinations like Mohawk Lakes. Take the U.S. Forest Service Road that Spruce Creek or Crown Drive funnel into, and you'll arrive at the Spruce Creek trailhead, which connects to the Burro Trail which leads back to the base of Peak 9. Further up the trail, you'll cross the Wheeler Trail that extends from Hoosier Pass to Copper Mountain, and there you can see stunning Continental Falls that flow from the lakes situated in high meadows at the foot of the Tenmile Range. Just across Highway 9 from the Crown is the Goose Pasture Tarn, an amenity that is private but available for all Blue River residents. Drive south on Highway 9, and take a left on Crown Drive, about 1/10th of mile from the last stoplight in Breckenridge, at Boreas Pass Road. This road continues uphill through the Crown and connects to Spruce Creek Road. A few offshoots of this main route lead to other homes in The Crown.